Cape Town - The Stormers, with just one losing bonus point from the three matches they have played on their Australasian tour, are facing a mini-crisis ahead of their clash against the Rebels in Melbourne on Friday. It's been a tour from hell for coach Robbie Fleck and his men, and the news over the weekend that skipper Siya Kolisi (rested), lock Chris van Zyl (back injury) and utility back SP Marais (hip injury) would all be returning to South Africa was the latest killer blow. It takes the total number of players that have headed home mid-tour to seven. More significant is the calibre of players lost. Eben Etzebeth (calf) and Pieter-Steph du Toit (birth of his child) left after the 24-9 loss to the Blues two weekends ago, while JD Schickerling and Dan du Plessis were also injured at different stages of the trip. In Kolisi, Etzebeth, Du Toit and Van Zyl, the Stormers lost four of the main leadership figures in their camp. It makes Friday's assignment against the high-flying Rebels all the more daunting, and by Monday morning the Stormers were not prepared to publicly announce Kolisi's replacement as skipper. Frans Malherbe, Bongi Mbonambi and Damian de Allende are all possible options. Captaincy aside, the Stormers need to front up as they look to end their tour on a positive note, but will do so without several of their most dangerous weapons. It is obviously a test of character and depth, but assistant coach Paul Feeney believes there is enough maturity left in the camp. "We've still got experience, depending on who is starting," he told media from Australia on Monday. "In the front row we've got Steven Kitshoff, Bongi (Mbonambi) and Frans (Malherbe) and there is a lot of experience there. "Obviously through the locks and the loosies we will be lacking some experience, but up front there are still some good leaders. "In the backs we have Damian de Allende and Jean-Luc (Du Plessis) has a very good brain on him as well. "Dillyn Leyds has captained previously at Currie Cup level, so we do have some experienced scattered around some of these young players that are coming through." It may seem that there is nothing left to lose for the Stormers, but because of how tight the South African Conference has proved to be in 2019, Friday's game is massive. A win would leave the Capetonians with four wins from eight and well-placed in the Conference considering that they would be the only South African side to have completed their Australasian tour. The most significant test of depth will come at lock where Van Zyl, Etzebeth, Schickerling and Du Toit are all out. "They are our first four lineout callers, so it makes life difficult. We can only use who we've got at the moment," Feeney explained. "We'll just look at what we think is best for the group at the moment and get on with it." Ernst van Rhyn, Salmaan Moerat and Cobus Wiese are the players in line for positions in the second row. "We've had seven players go home, which is a hell of a lot. You might expect two or three to go home, but seven is a lot and there has been a lot of experience too," Feeney added. "We haven't got some of our big names up front, but the boys that are there need to step up. We're disappointed to lose guys of that standard, but it gives somebody else an opportunity." 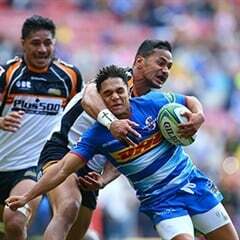 The Stormers' team will be named on Tuesday and Friday's match kicks off at 11:45 (SA time).